I am so happy to be a part of this cooking group, following along and cooking the suggested recipes from Dorie Greenspan’s cookbook “Around My French Table” . The primary reason (after the fact that it’s just plain fun) is that it forces me out of my comfort zone to make dishes I wouldn’t ordinarily make. This happens to be one of those particular dishes. 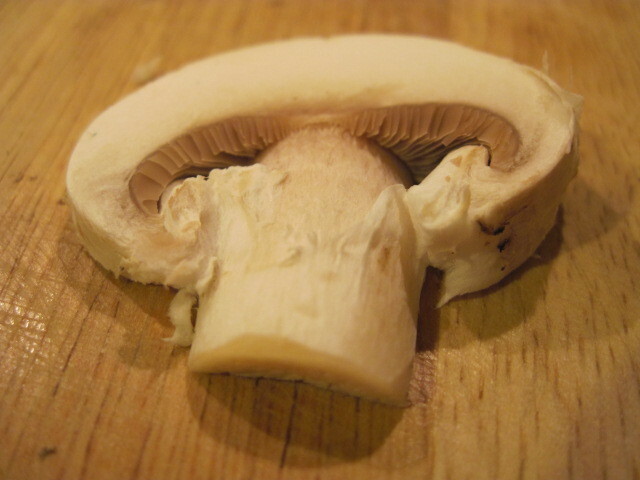 I’d never been a huge mushroom fan but as I’ve gotten older, I’ve broadened my palate and have learned to appreciate them in all their shapes and complex flavors. However, this recipe is one I would have found interesting to read but never actually imagining it simmering on my stove top, let alone gracing our dinner table. 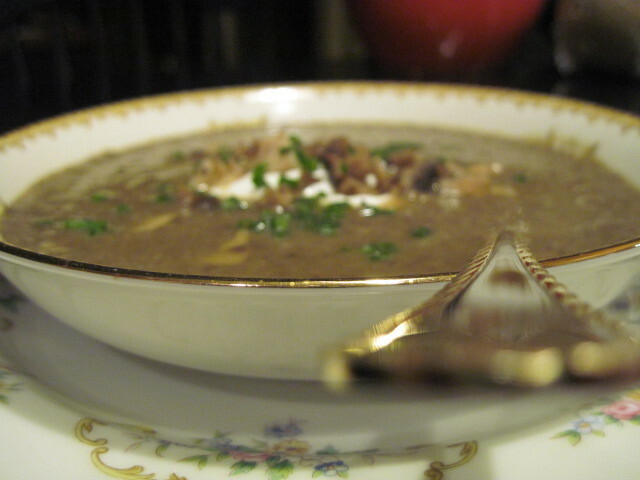 An entire soup consisting of mostly mushrooms? 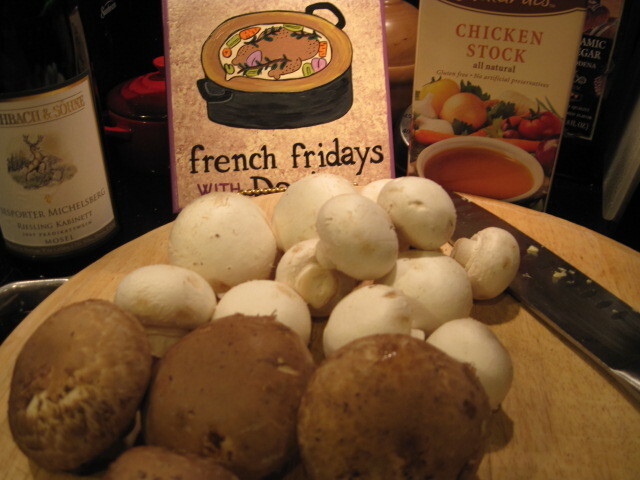 Nope, I didn’t think so, at least not until… “French Friday’s With Dorie“. 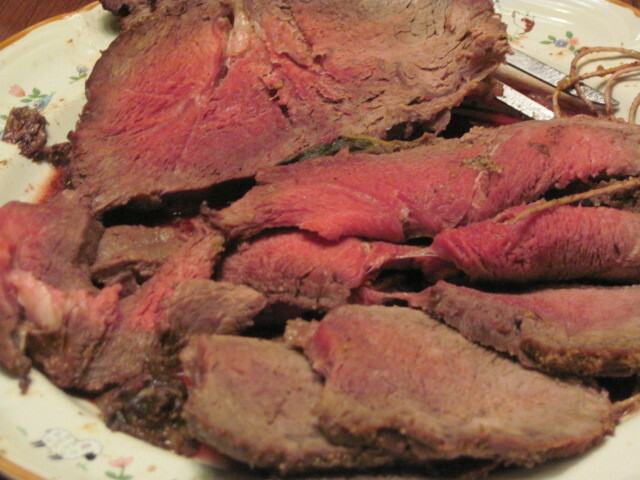 This recipe can be found on page 72-73 and at first glance it looks lengthy and involved. This is so not the case. It’s easy, relatively quick (that is, if you’re husband isn’t late coming home from work) and smells like a little spoonful of heaven while simmering on the stove top! 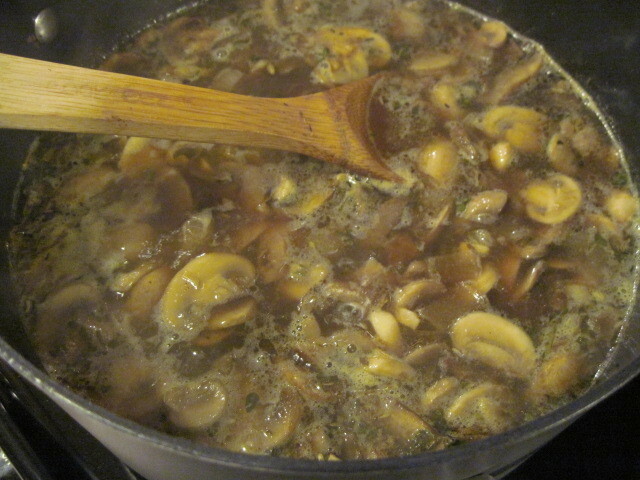 Toss is some garlic, onions, white wine, chicken stock and your sliced mushrooms (OK really, what’s not to love?) and I was ready to simmer away. Thyme and rosemary are also on the list of ingredients (two of my all time favorites) but of course, I couldn’t stop there. 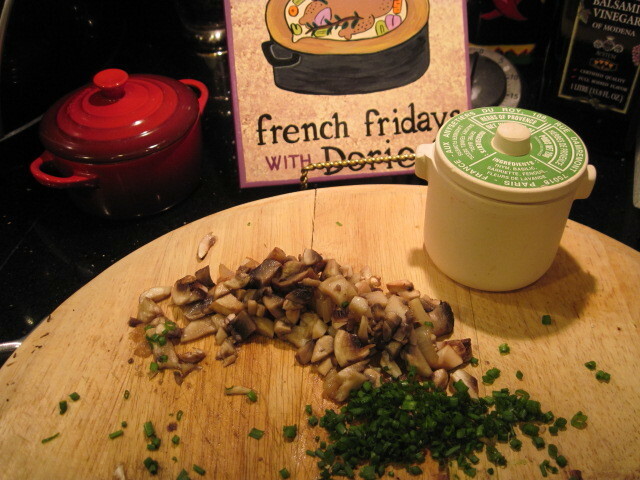 Adding a small pinch or two of herbs de provence, I was well on my way to Paris in a bowl! 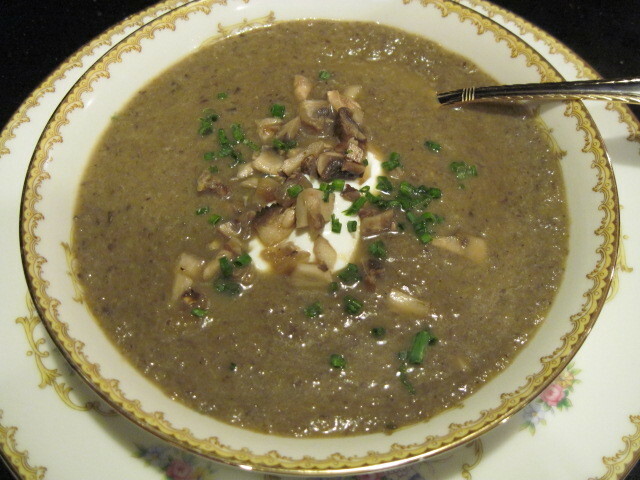 With the help of my immersion blender, I quickly blended my soup, which had now reduced and concentrated (due to the prolonged simmer time from hubby being late from work). Have you ever heard the saying “good things come to those who wait?” Well, let me tell you it’s too true in regards to this soup!!! Deep and complex in flavor and healthy too!!! In my mind, the only thing this soup needed was a little bit of dressing up, so I decided to use my best china as a way to showcase this masterpiece in a bowl. 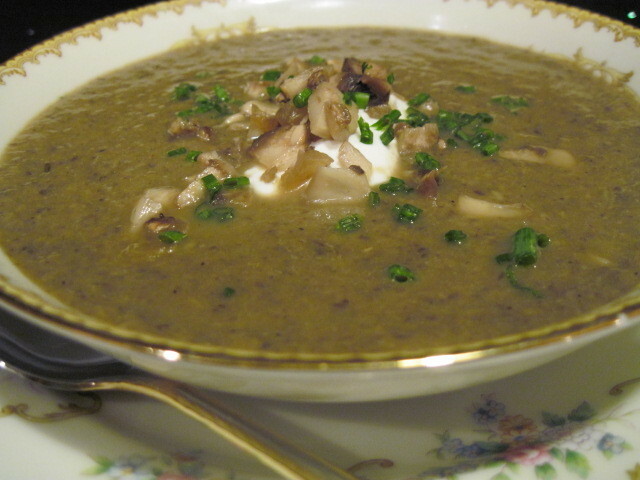 Topped with additional chopped mushrooms, some sour cream and some chives… dinner is served. 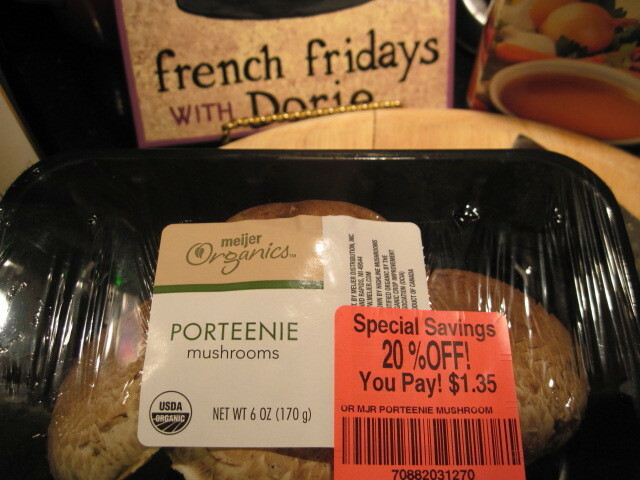 In case you’re wondering, this Paris Mushroom Soup also makes a wonderful sandwich dip. Gotta love it!!! Looks so good with that little salad in there Renée 🙂 Next time I will do that part too! Very pretty presentation. I think it makes a nice paint color too! Who knew? Love it! And may I have a big bowl of that fruit salad, please? You deserve the compliments! Very nice. OMG, your soup looks so delicious right now. 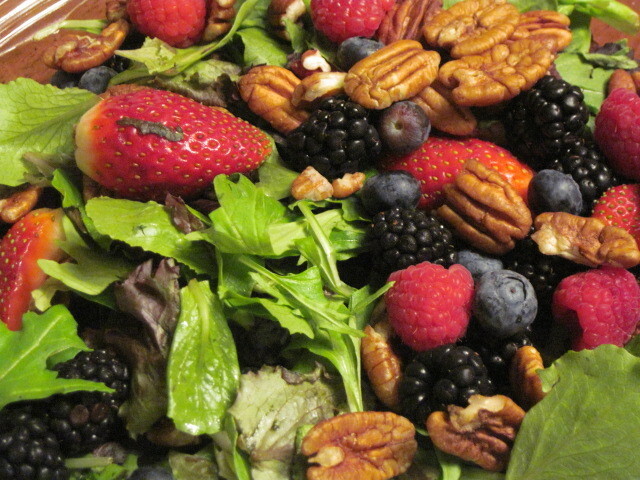 And, I absolutely adore the bright, vibrant colors in your salad! Jealous! I'm not sure if my first comment went through, but I love how good your soup looks. And, the colors in your salad are so bright and vibrant! 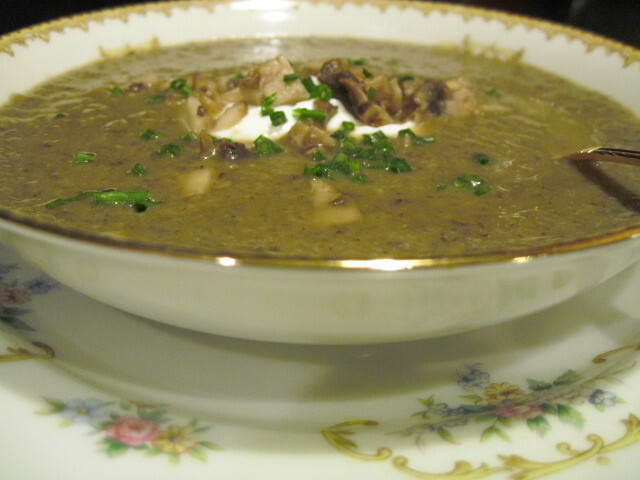 Your close-up photos are marvelous and your soup looks marvelous! I love your dishes! This soup is elegant enough for your best china and would also be perfect in a mug after an active Saturday afternoon. Your soup looks fabulous! I'm eating another bowl right now as I look over other's posts. 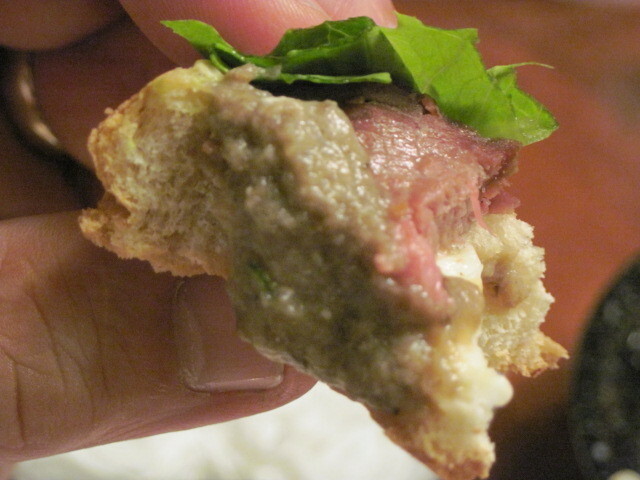 We had roast beef paninis with ours and I agree, it makes a great sandwich dip!! 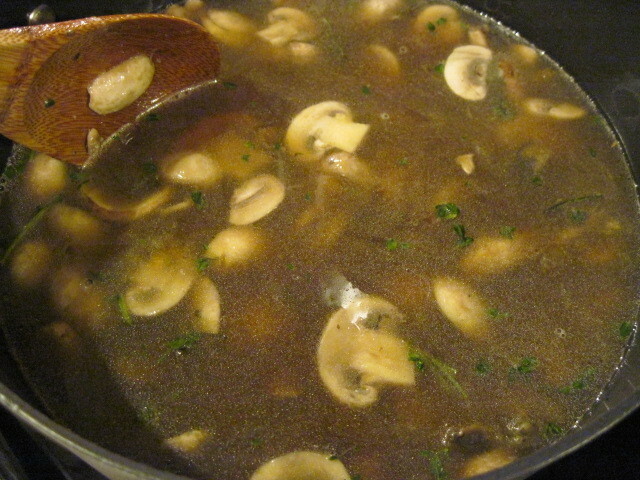 I am with you – I never would have made a soup of mushrooms without this group but I am SO glad I did!